The statement from Tom Pahl, the Acting Director of the FTC's Bureau of Consumer Protection, advises the FTC "has an open non-public investigation" into how Facebook handles user privacy, confirming earlier reports the regulator is looking into the matter. "The FTC takes very seriously recent press reports raising substantial concerns about the privacy practices of Facebook." The FTC is said to be "firmly and fully committed to using all of its tools to protect the privacy of consumers" as part of the probe. "Foremost among these tools is enforcement action against companies that fail to honor their privacy promises, including to comply with Privacy Shield, or that engage in unfair acts that cause substantial injury to consumers in violation of the FTC Act." 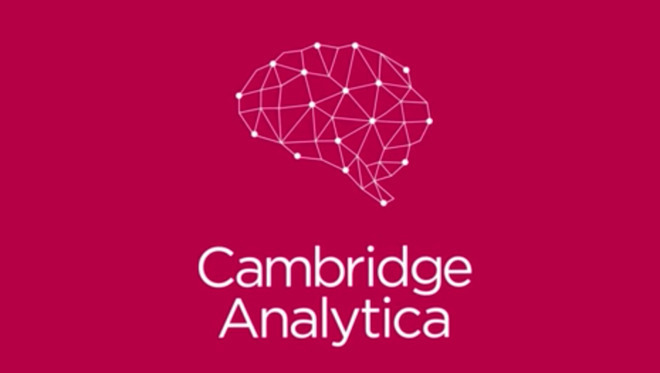 The probe follows the revelation the UK-based Cambridge Analytica acquired the data of Facebook users, which allegedly may have been misused to influence a number of major political events. Facebook has already suspended Cambridge Analytica and parent company Strategic Communications Laboratories for violating the site's Terms of Service relating to the collection and retention of data. It is believed Cambridge Analytica acquired user data that was obtained via an unauthorized source, providing the firm an unfair advantage compared to other teams in the political analytics field. Cambridge Analytica claims it is innocent, that it received Facebook data in good faith from another firm, that it deleted the data once procedural irregularities were found, and the data in question was not used in services provided to the presidential campaign of Donald Trump. According to a post by Facebook CEO Mark Zuckerberg, the researcher at the center of the scandal identified as Aleksandr Kogan had accessed the data of 300,000 Facebook users and millions of their friends by creating a personality quiz in 2013, something apps were prevented from doing in an update the following year. Kogan is alleged to have shared the data with Cambridge Analytica in 2015, with media reports also claiming Cambridge Analytica failed to delete the data despite assuring Facebook it had done so. The FTC statement emphasizes that "Companies who have settled previous FTC actions must also comply with FTC order provisions imposing privacy and data security requirements." The investigation is specifically attempting to clarify whether Facebook violated the terms of a 2011 consent decree it agreed to, following the discovery user data was previously provided to Cambridge Analytica without the prior knowledge of Facebook users. Under the decree, Facebook agreed to acquire the user's consent for changes to privacy settings, to settle federal charges it had deceived users, and ended up sharing more personal data than users would have intended. If the FTC determines Facebook violated the consent decree terms, it could face thousands of dollars in daily fines per violation. Since the first wave of reports on the privacy issue surfaced, Facebook has seen its stock value drop as well as demands by lawmakers in both the US and the UK to explain what happened. In the UK, the Information Commissioner's Office is also performing its own on-site investigation in Cambridge Analytica's London office. Facebook CEO Mark Zuckerberg has responded to the revelations by vowing to better safeguard users' data in the future. The social network will investigate apps that had access to large quantities of data before the changes in 2014, restrict developers' ability to access the data, and add a tool in the top of all users' Newsfeed to show apps they had used and to revoke permission for apps to use their data. At the China Development Forum over the weekend, Apple CEO Tim Cook weighed in on the affair, calling for stricter rules for what companies can do with harvested information. "The ability of anyone to know what you've been browsing about for years, who your contacts are, who their contacts are, things you like and dislike and every intimate detail of your life - from my own point of view it shouldn't exist," Cook advised.